These two cast iron pieces came to a total of $10.50 at the local Goodwill. They are not Lodge brand, but they are also not the super thin Chinese stuff. Both are polished castings. As I’ve commented before, without that finish step on the casting, no matter how you season the iron it will never be that non-stock surface for doing eggs, pancakes. 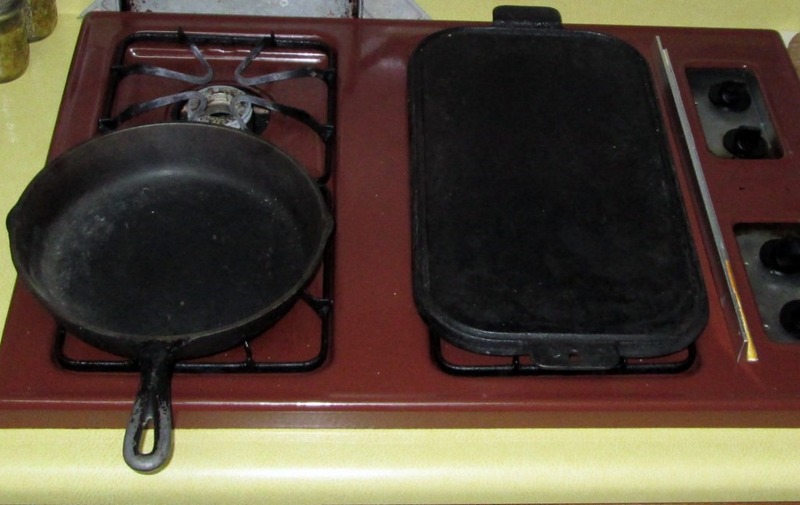 My last Lodge brand cast iron griddle had that pebbled finish typical of the modern stuff and the pancakes always stuck. Am looking forward to trying this out this weekend! This entry was posted in homesteading, recipes, self-reliance, Uncategorized. Bookmark the permalink.